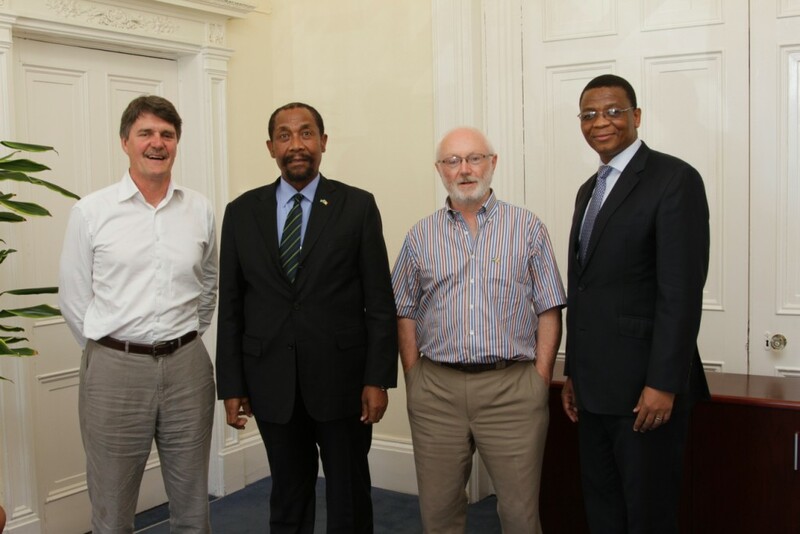 The Minister of Foreign Affairs and International Relations, the Honourable Mohlabi Kenneth Tsekoa has been on a two day working visit in Ireland from the 30 June to 01 July, 2014. The main purpose of the visit was to declare Lesotho’s commitment to the existing bilateral relations between Lesotho and Ireland. The Honourable Minister met with the Deputy Prime Minister and Minister of Foreign Affairs, His Excellency Mr. Eamon Gilmore TD (Member of Parliament) as well as the Minister of State for Trade and Development Mr. Joe Costello TD. The Hon. Minister M. Tsekoa and H.E. Mr. Gilmore TD. The Hon. Minister and Mr. Costello TD. 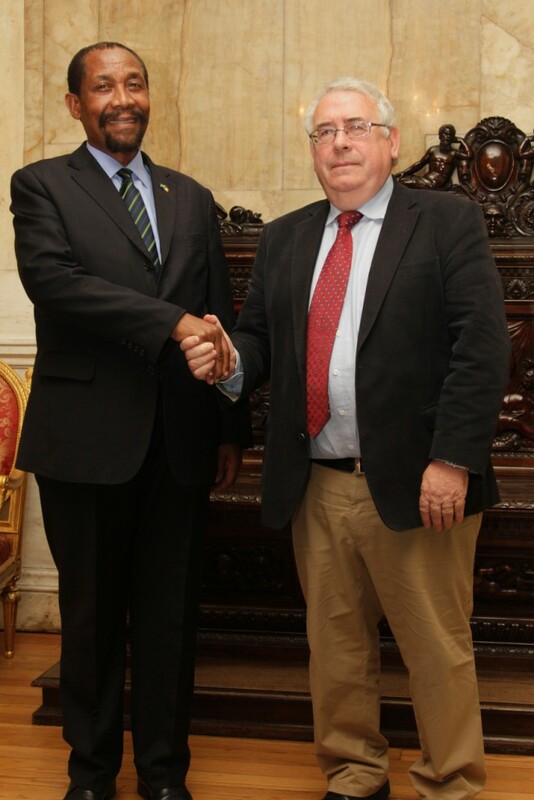 During the deliberations, His Excellency Mr. Gilmore assured the Honourable Minister that the closure of the Irish Embassy in Maseru will not affect the longstanding fraternal relations existing between the two countries and that it will not diminish the current development assistance that Ireland has been providing to Lesotho since the 1970s. He also assured the Minister that although the Embassy is closing down, the physical presence of Irish Aid will be maintained in Lesotho through at least one Irish official. In response, the Honourable Minister highlighted the proud partnership road travelled by the two countries particularly in the areas of education, health, rural development and governance, where Lesotho benefited the most. He also expressed hope that circumstances permitting, the Irish Government will consider reopening the Embassy in Lesotho in future. 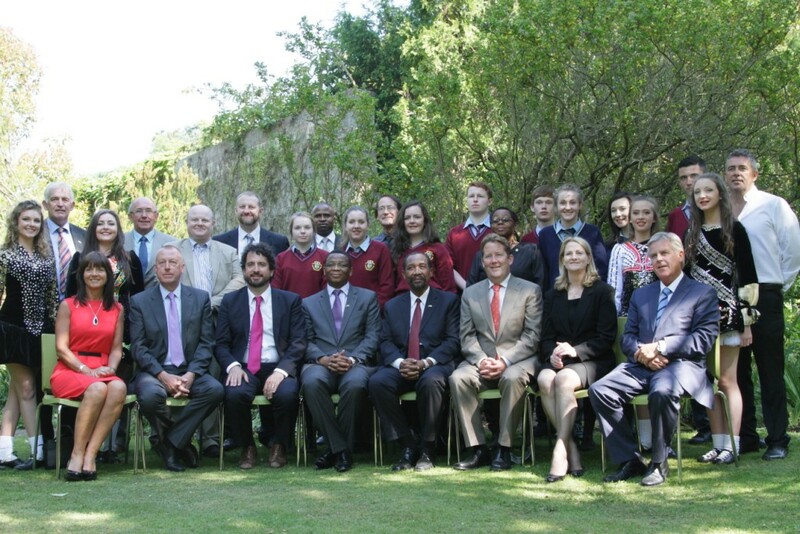 He remained optimistic that the nearly completed Lesotho Country Strategy Paper will be approved by both Governments in August 2014 in order to enable implementation of priority projects funded by the Irish Government. The Honourable Tsekoa also met representatives of Action Ireland Trust and Action Lesotho, which are Irish based NGOs having development projects in Lesotho. 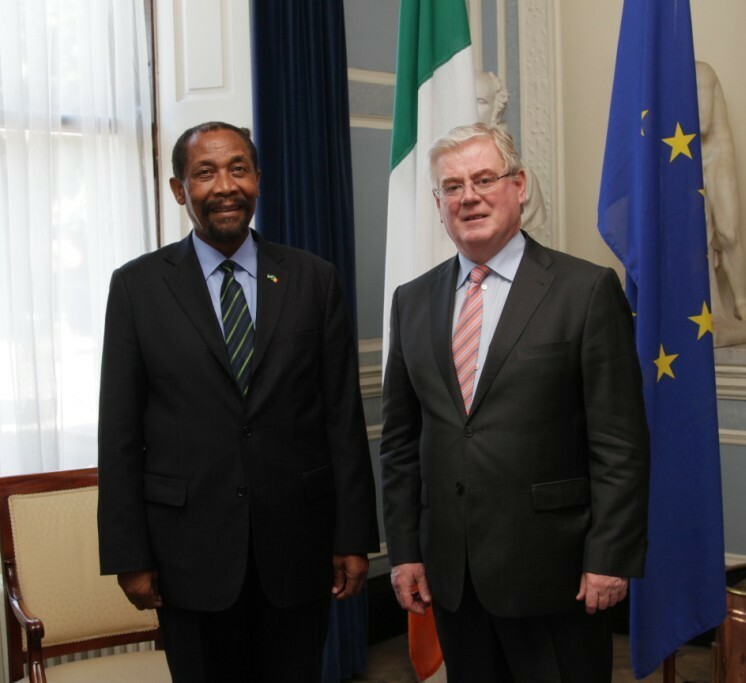 The Honourable Minister of Foreign Affairs and International Relations was accompanied by the Ambassador of Lesotho to Ireland, His Excellency Mr. Paramente Phamotse and the Director for Europe and Americas Ms. Itumeleng Rafutho.